Looks like someone’s been eating his spinach! I guess the dude in blue wanted to go first? 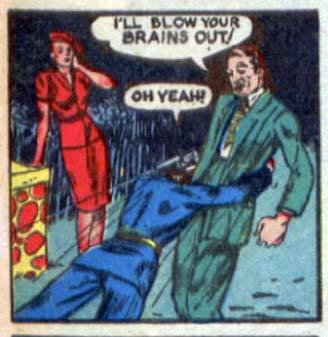 Let me guess his name is pistol instead of crotch-man. @ X-stacy – ….and the chick in red likes to watch! Why Robert Denero is being attacked by a bell hop? They are reversed, the blower is standing. Anyone else realize that the dude in blue said “yeah” rather excitedly and not in the form of a question?